Editor’s Note: The following post was written by Tricia Brown of the University of Iowa. 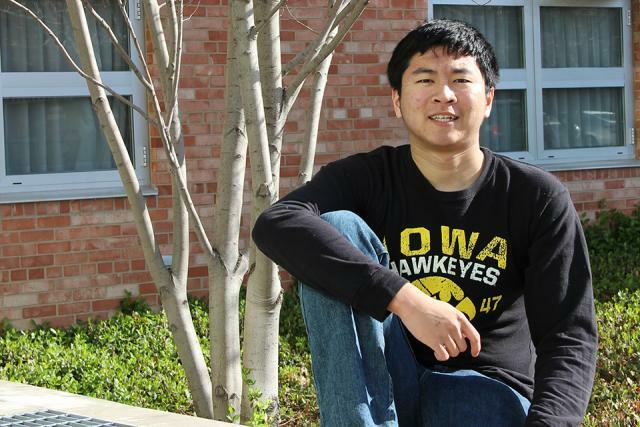 University of Iowa student Jeffrey Ding says he’s unsure yet how being named a Rhodes scholar will change his life, but he’s already getting more than the usual number of friend requests on Facebook. Ding, a member of the Honors Program and a student in the UI’s Henry B. Tippie College of Business and the College of Liberal Arts and Sciences, will graduate in May with degrees in economics (B.B.A. ), political science (B.S. ), and Asian languages and literature (B.A. ), along with a certificate in international business. He adds the Rhodes scholarship to his cache of other awards and honors. Earlier in 2015, he was awarded the Udall scholarship and the Truman scholarship. He is the only UI student to have received all three. He arrived at the UI as a first-year presidential scholar, the highest award the UI gives to incoming undergraduates. He’s also the recipient of the Stanley undergraduate award for international research and was named a Boren scholar through UI International Programs. This entry was posted in Honors News, Prestigious Scholarships and tagged Iowa honors, Jeffrey Ding, Kelly Thornburg, Rhodes Scholars 2016, Tricia Brown university of iowa, University of Iowa by Honorsadmin. Bookmark the permalink.